Besides emerging as one of the biggest VFX companies in India, Rotomaker has been proving to show most definitive career paths to youngsters through it's official Incubation facility Rotomaker Academy. 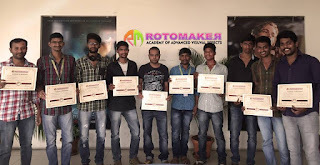 Rotomaker Academy with it's high end production facilities, provides hands on training on cutting edge technology, used in Hollywood and Bollywood film industry. 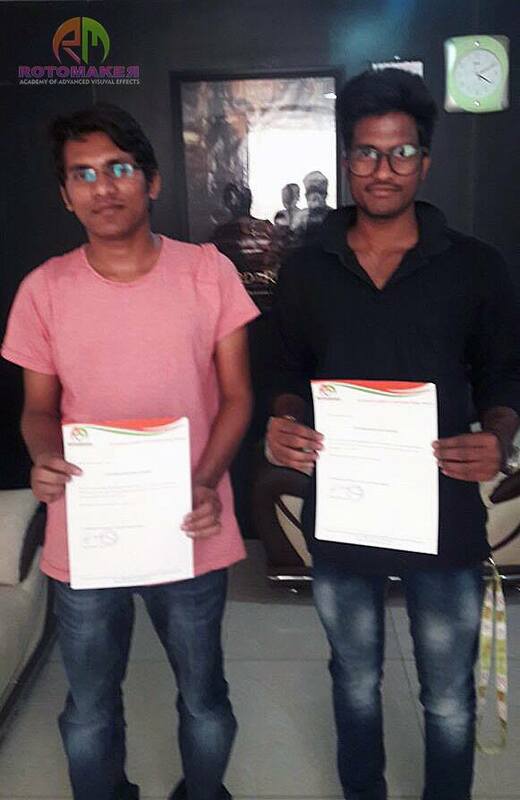 As soon as the students finish their course, they will have to go through an intensive production training which will lead to international live projects.The academy is giving 100% job guarantee after course completion which a good news for most of the youngster who want to be the part of ever growing VFX industry.nearly 25 students got placed in Rotomaker on 10th march.Our students will get the first priority to be associated with Rotomaker and get opportunity to work in International movies.